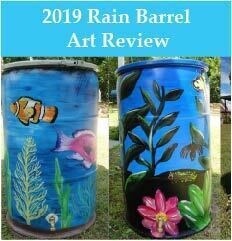 The Florence Darlington Stormwater Consortium is proud to present the 2019 Rain Barrel Art Review. The contest is open to schools and community groups in Florence County and Darlington County. Finished barrels will be displayed at the Duck Cup/Earth Day at Kalmia Gardens on April 13, where visitors will vote for their favorite. Prizes will be awarded for 1st, 2nd, and 3rd place in two divisions (school or community group). Barrels will be returned to participants for installation at a public location such as a school, library, church, or community center. Email skr@clemson.edu for more information. You’re paying someone to help you commit academic fraud that would get you at the very least a failure in a course, but more likely expelled from any halfway decent institution.